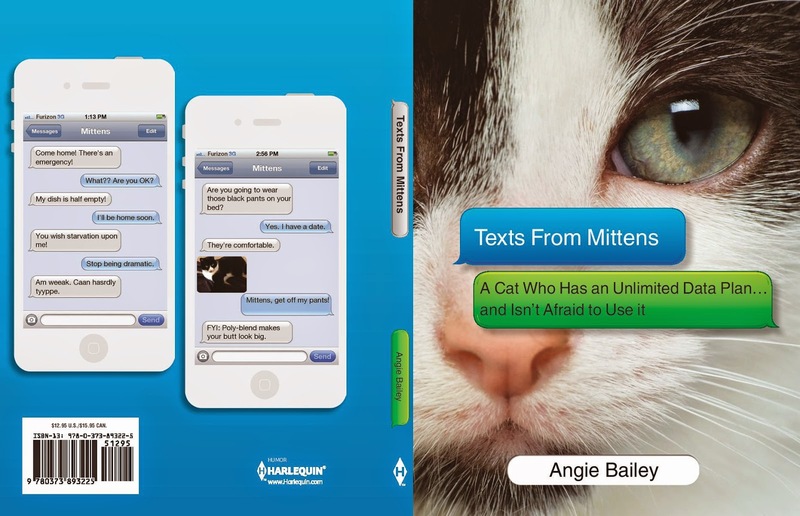 Catladyland: Cats are Funny: Texts from Mittens Book Available for Pre-Order! Texts from Mittens Book Available for Pre-Order! Many of you know I also write the Texts from Mittens blog. It's daily texts between a neurotic cat and his long-suffering human. I'm sure you can totally relate. Well I have some exciting news! The Texts from Mittens BOOK will be available on March 31, 2015, but is currently available for pre-order through Amazon, or wherever you buy books! It was a ton of fun to write Mittens and the gang, and I hope you enjoy reading the silliness and mega-drama. And don't forget to follow Mittens on social media!